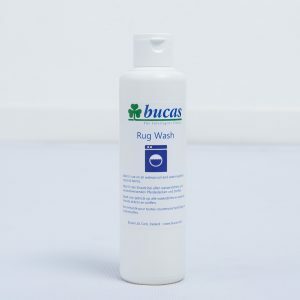 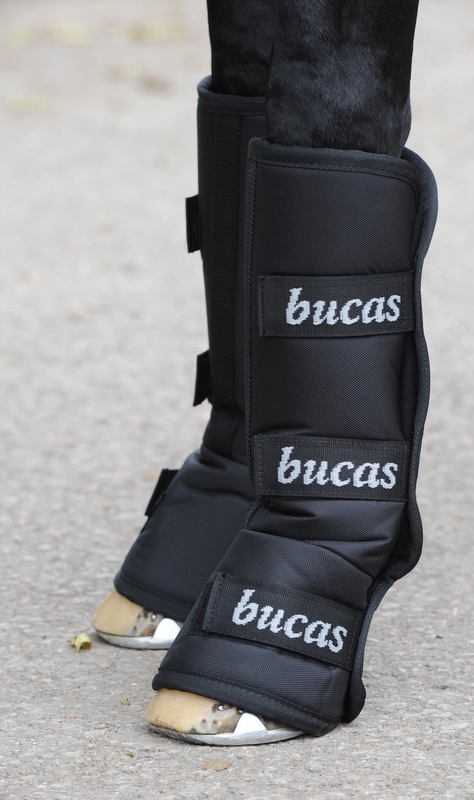 The Bucas 3/4 Boots are made of tough outer fabric and a Stay-dry inner lining. 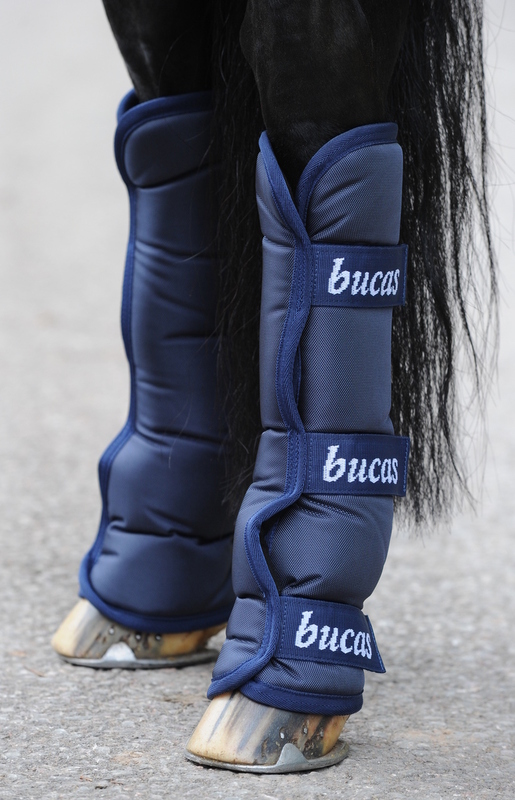 Cushioned padding so they will fully contour to the horse’s leg. 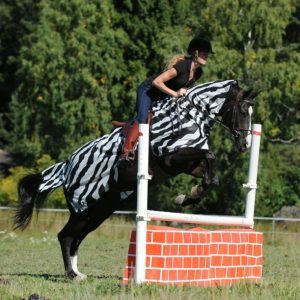 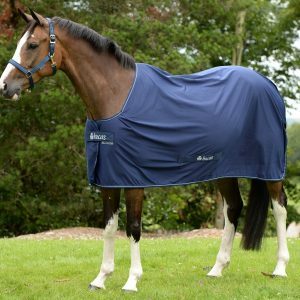 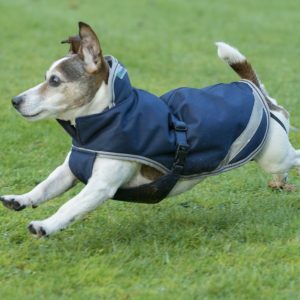 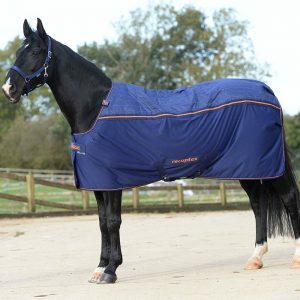 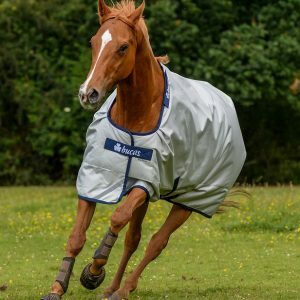 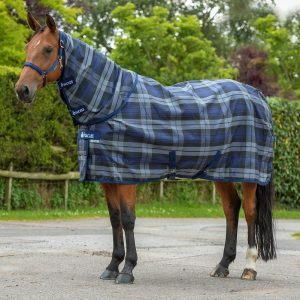 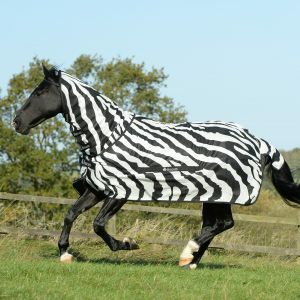 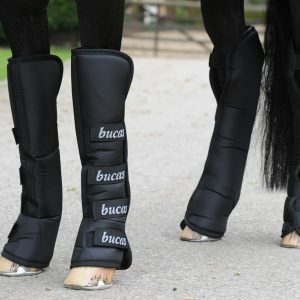 They are shorter then the 2000 boots and have three straps on the front and back boots and are great for horses who do not like the normal long travel boots. 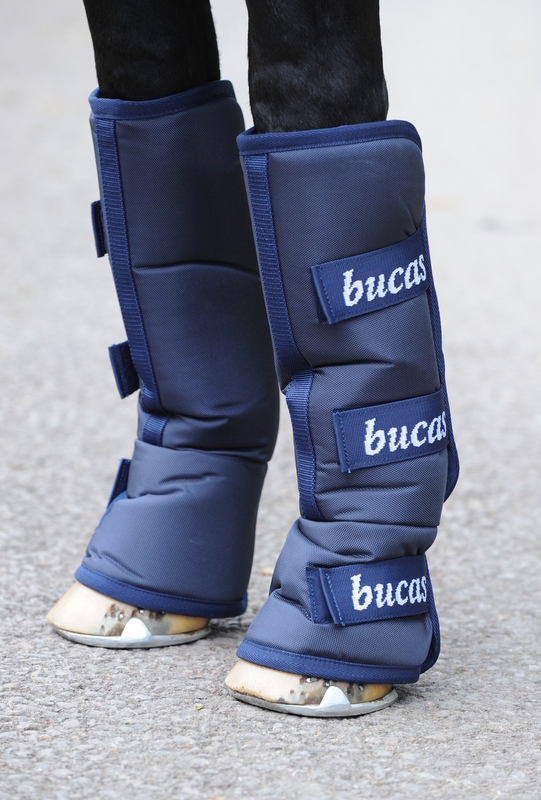 The unique front boots close differently to normal traditional travel boots. 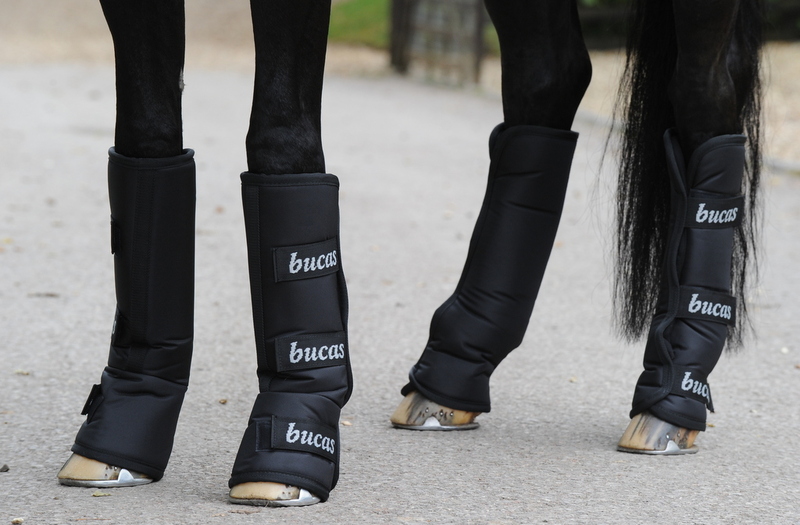 The straps fasten forward, this means the boots close across the tendons leaving the back of the knee open, for ease of movement but covering the knee to protect the joint from any bangs or injury while wearing the boot. 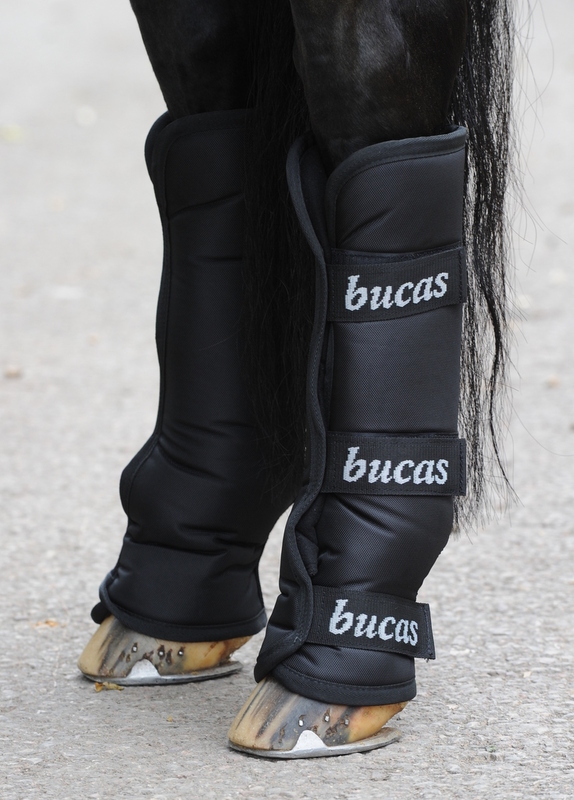 Available in Full and Cob sizes in Black and Navy.